Something we saw way too much of today. Devin might be a good QB, but on 4th and 22, throw it up. Not going to scramble for 22 yards against this defense. It's uglier up close. Both the MSU uniform and the Paul Bunyan Trophy. Paul heading to the tunnel. Brady Hoke on the loss going into the bye week: "We need to feel this one for a while. But we'll turn the page." Not going to get into a full review here, but some bullet thoughts from the 28-14 loss in East Lansing today. 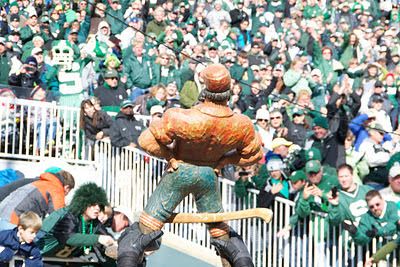 • MSU didn't do anything we didn't think they would. They're defense is as good as advertised. They blitzed, they threw off our timing and never allowed us to get into any kind of rhythm. 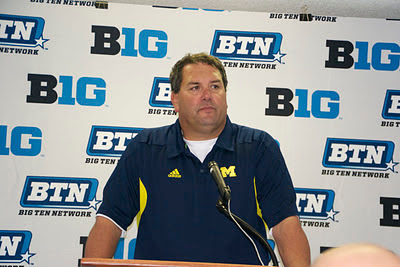 Hoke said in the post-game presser that we were out-coached today – tough to argue that one. Michigan State cam to play, and we looked pretty flat much of the game. 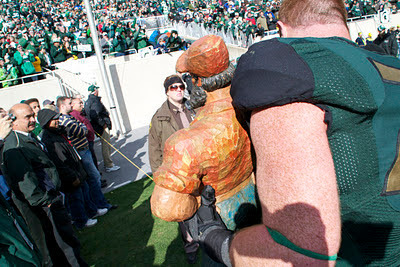 • Playcalling obviously suffered due to MSU defense and the wind, which was whipping around all day. I have to think the wind played a factor. 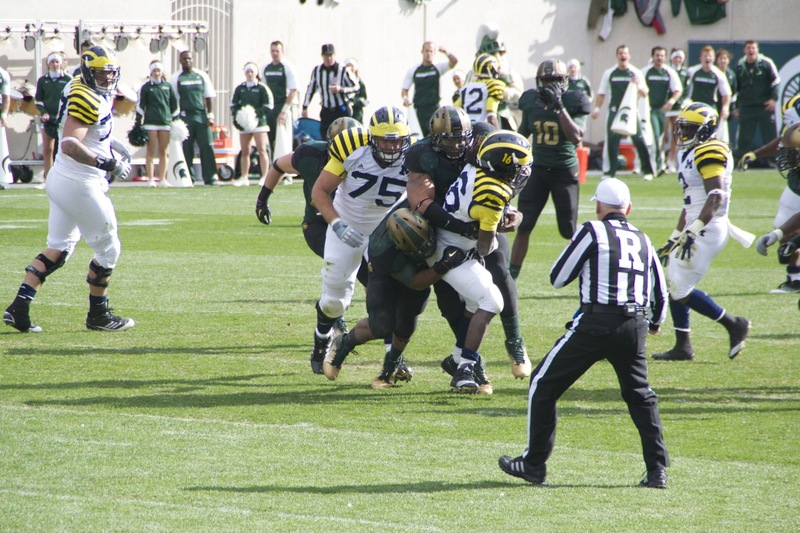 But regardless, when MSU is blitzing like crazy, some adjustments needs to be made to offset the blitz. Screen passes, bubble-screens, some slant passes maybe. Something. 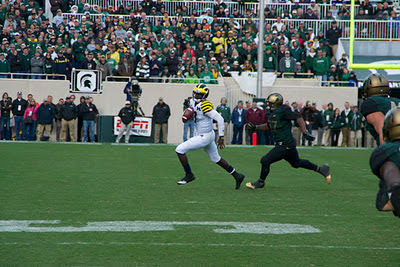 Anything to get the ball out of Denard's hands quicker. 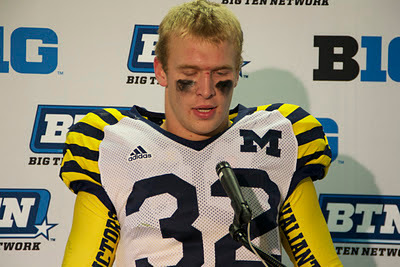 • I think Borges would like to have that 4th and 1 call late in the game back. 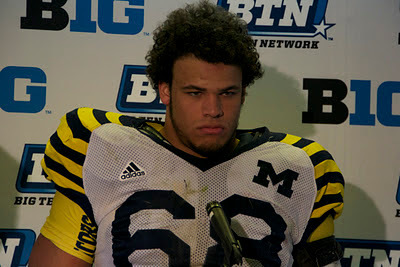 • Devin coming into the game a lot, I think, impacted our rhythm offensively. I see why we like to have him in there to throw off the defense and to line Denard up elsewhere, but at a certain point it became too much. Devin showed on a few plays that his timing and field vision is just not where it should be if he wants to compete for more playing time. • Hats off to Will Hargerup. He looked solid all day punting into the wind. Matt Wile's kickoff to start the 2nd half was not what he wanted. Poor kick in an otherwise pretty good kicking day. • Our defense actually looked pretty good at times. 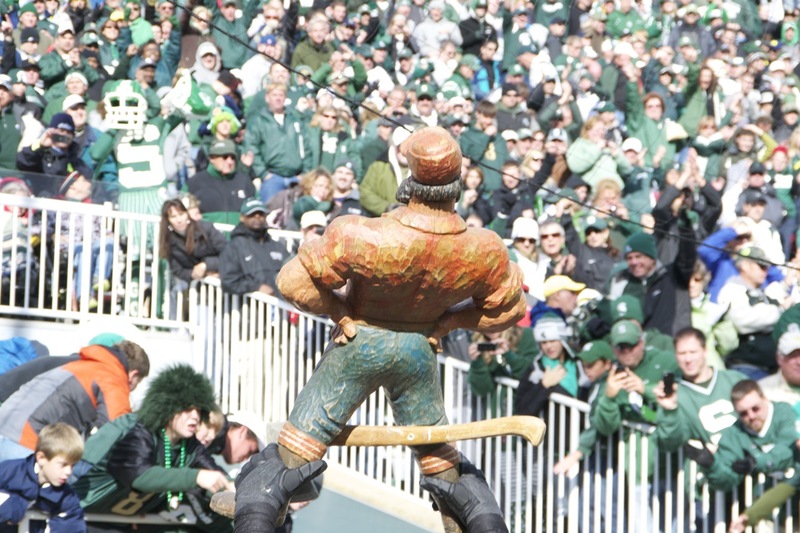 We held MSU to 21 offensive points, which isn't too bad all things considered. They ran the ball well, but Cousins never killed us. I think our DBs had a good day coverage-wise, but that will probably get lost in the ether of the loss. 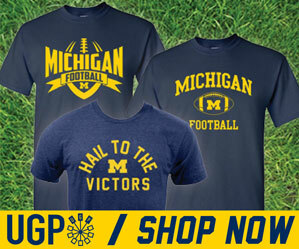 • This loss feels worse than it was because it's the 4th in a row to little brother. 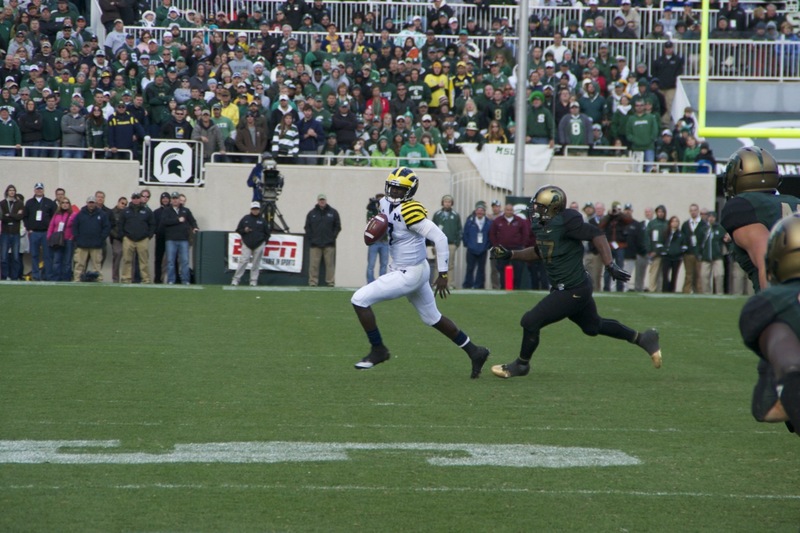 But when you look at how close it was at the end, and how we really had a shot only down 7 at the MSU 9-yardline with plenty of time to play – this one could have gone a different way for us. I think we have some good things to work on these next two weeks. That's it for now. Tigers are on. Much more to come soon.